Having raised two children in today’s highly competitive environment, I have observed that kids of all ages seem to be over-stressed, over-worked and are often left feeling over-judged and disappointed in themselves. They simply don’t seem to have enough time to relax and enjoy carefree days of youth like we once knew. For many, the fun has been taken out of nearly every sport and activity, as the competition levels rise. Our mission is to keep the joy in skiing and snowboarding and give kids a reprieve from the pressure and stress of competitive youth sports. We strive to provide positive snow-riding experiences for youth that will enhance their personal and social growth. 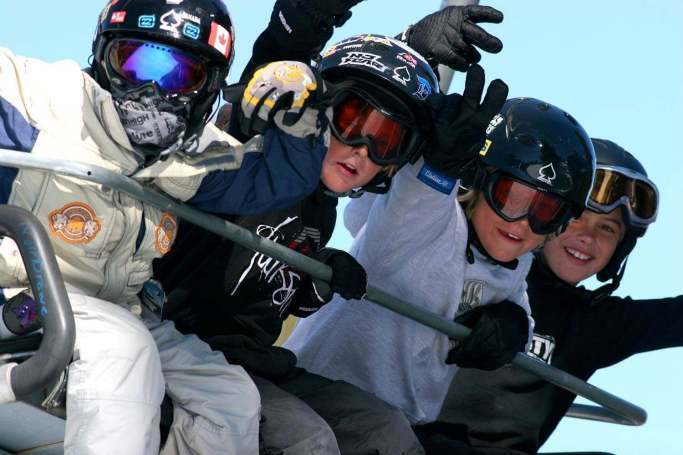 Blue Angel Snow fosters this development through a comprehensive five Saturday snowboard and ski camp for kids, teaching fundamental skills to all levels in a supportive, non-competitive environment. To read more on this topic, check out Changing the Game Project. This season marks our 25th year and we are excited to welcome the 2017 crew. Program dates are January 21, 28, February 4, 11 & 25. Package prices are $899 in So-Cal and $949 in Nor-Cal and include: roundtrip luxury bus transportation, professional all-day coaching/lessons for all levels, lift tickets to our home resorts (Mountain High and Sierra-At-Tahoe), adult supervision on and off the slopes, lunch and snacks throughout the day, a Bern snow helmet and exclusive specials and discounts on equipment at Level 9 Sports.